scene at the end of the 20th century, with the aim of optimizing investments and returns in crop production. It thus offers a sustainable solution to irregularities in crop growth, volatile agricultural prices and damage to the environment. Agricultural fields exhibit a multitude of variables: soil fertility, plant health index, biomass, chlorophyll level, etc. These variables are directly correlated with the productivity and profitability of crops. Precision agriculture aims to identify these variables, to understand their origins and to act by adapting cropping practices accordingly. it to optimize his input and estimate his return. The recent arrival of agricultural drones triggered a revolution in the use of this technique. At Verydrone, we think that using drones for the aerial transport of sensors improves data precision to a level never attained before, not even with satellites. Furthermore, their versatility facilitates quick and easy crop monitoring, making it possible to obtain an increasingly greater amount of information on the fields over the course of the year. Their use has spread rapidly in the world of agriculture; agriculture now ranks second in the use of drones worldwide. 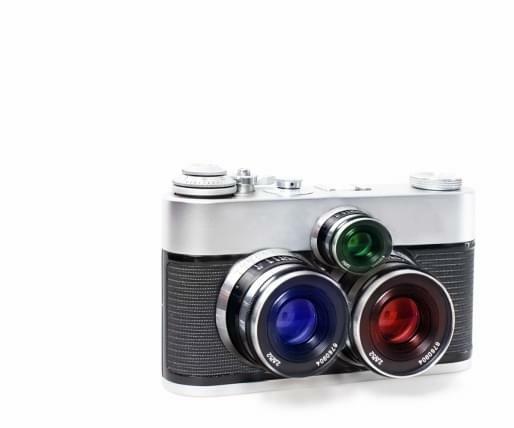 In addition to standard RGB cameras, which take pictures in the visible spectrum (i.e., visible to the naked eye), there are now multispectral sensors that can capture images in near infrared, which is invisible to the naked eye. RGB images have been used for a long time to observe crops in order to compile a history of the fields and to create management zones. Multispectral sensors provide new information that is useful in decision-making. Indeed, infrared images, which cannot be seen with the naked eye, can be used to make a highly precise diagnosis of the condition of different fields. The images obtained constitute a highly effective tool for evaluating soil productivity and analyzing plant health. Specific wavelengths can be used to collect key data on vegetation cover. By obtaining the reflectance of the vegetation, multispectral imagery can be used for calculating vegetation indices. Unlike alternative imaging technologies, multispectral imagery can be used effectively throughout the crop cycle. 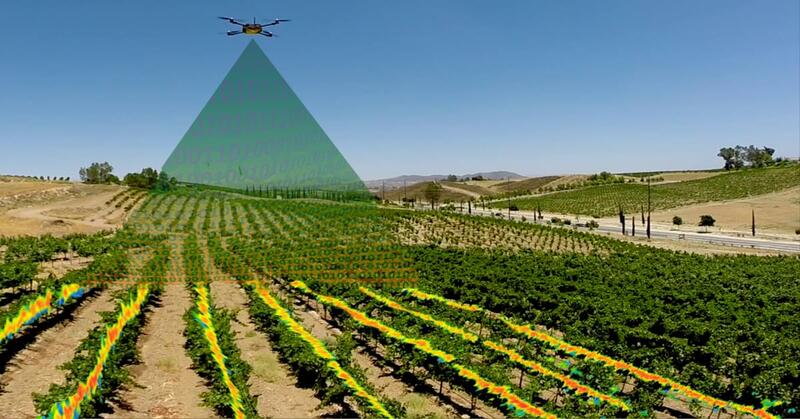 In combination with the flight flexibility offered by the drone, multispectral imagery makes it possible to obtain data on multiple dates to monitor crop development without the light constraints of RGB. Whether used during sowing, irrigation, fertilization or harvesting, multispectral imagery can be used at each key step to help the farmer make the best choice at the right time. Every surface reflects a portion of the light that it receives. The ratio of reflected light to incident light is known as reflectance and is expressed as a percentage. The perceived color of an object corresponds to the wavelength of the visible spectrum with the greatest reflectance. Because the human eye is sensitive to wavelengths between 400 and 700 nm – also known as the visible spectrum – we can perceive a variety of colors ranging from violet to red. 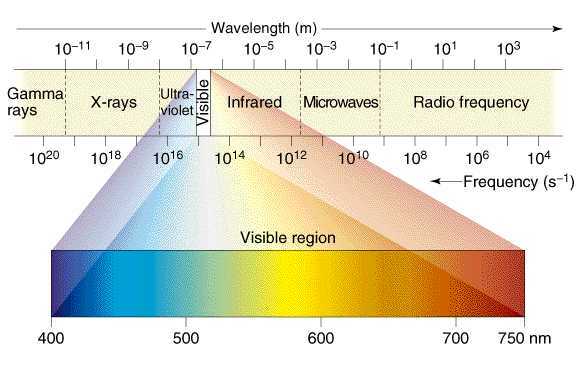 However, wavelengths can also be shorter (ultraviolet) or longer (infrared) than those of the visible spectrum. Even though we cannot see them, they are just as indicative of the agronomic characteristics of a plant; Red Edge is sensitive to chlorophyll level and Near Infrared is sensitive to the leaf cellular stucture. Well calibrated data in the Red Edge and Near Infrared can help monitor changes in crop health. In the visible portion of the spectrum, the reflectance curve of a healthy plant exhibits the greatest reflectance in a green waveband (in the range of 550 nm). This is why plants appear green to us. However, the reflectance curve also shows that wavelengths longer than 700 nm, those in the near infrared range and therefore invisible to the human eye, reflect a considerably greater proportion of light. This combination of a low reflectance in the visible spectrum and a high reflectance in the near infrared is specific to vegetation. By comparison, the majority of the light in the visible spectrum reflected by dry plants is in the wavelengths corresponding to yellow and red, which accounts for their brown color. The deterioration of the health of the plant is thus visible. However, most of the light in the visible spectrum reflected by a plant under stress is in the green range. Hence, to the naked eye, a plant under stress is indistinguishable from a healthy one. On the other hand, the difference can be seen in the reflectance of light in the infrared range, which is far less. A multispectral sensor captures the light reflected over several wavelength bands. These spectral bands are various wavelength ranges, more or less prominent, which most often correspond to a color. Depending on the model, a sensor can detect anywhere from one to about twenty spectral bands. In order to use them more effectively, certain sensors filter the spectral bands in a so-called “discrete” fashion. A discrete band is characterized by steep and narrow slopes, thus limiting the data in the peripheral wavelengths, which are of little significance for this application. A discrete band makes it possible to avoid redundant data in the case of adjacent spectral bands. A multispectral image has many diverse uses, depending on the nature of the bands detected. Certain information can only be obtained using specific colors. Choosing which bands to capture is thus a very important step in the implementation of an aerial sensing system. The Normalized Difference Vegetation Index (NDVI) is, without a doubt, the most commonly used vegetation index. It is calculated from the reflectances of the Red (R) and Near Infrared (NIR) spectral bands. Its value can range between –1 and +1. The values between –1 and 0 correspond to non-plant surfaces that have a reflectance in the Red that is greater than the reflectance in the Near Infrared: water, snow, or even clouds. Soil has an NDVI value close to 0. With their substantial reflectance in the Near Infrared, plants have an NDVI value from 0.1 to nearly 1.0; the higher the value, the greater the plant density. NDVI is used for many different agronomic applications. It is most often calculated to identify plants’ health status, to forecast their metabolic processes and to estimate biomass and crop yields. The Green Normalized Difference Vegetation Index (GNDVI) and the Normalized Difference Red Edge (NDRE) index can also be calculated in the same fashion. 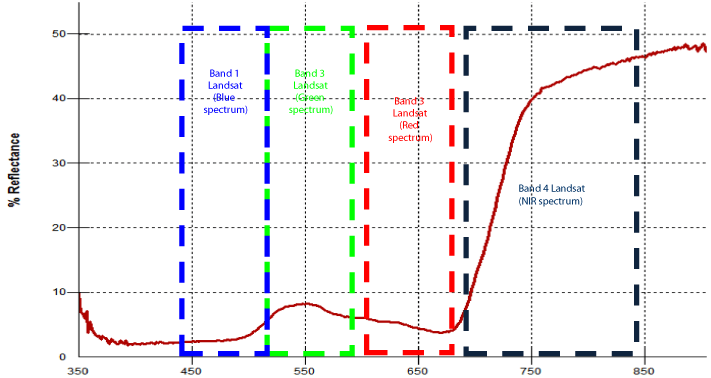 The GNDVI is calculated from the reflectances in the Green and Near Infrared spectral bands, whereas the NDRE is obtained from those of the Red Edge and Near Infrared spectral bands. Studies have proven that these indices are much more reliable than the NDVI for certain crop types. In contrast to satellites and planes, the problems caused by the extreme sensitivity of the NDVI to atmospheric conditions and cloud cover are no longer an issue when drones are used Nevertheless there are still some shortcomings, notably in terms of biomass estimation, which generally requires taking soil samples in order to ensure high accuracy. A plant requires nutrients for photosynthesis and normal growth. Various studies have proven that a high chlorophyll index indicates a substantial nutrient content and that is indicative of good productivity. A lack of certain nutrients, especially those linked to chlorophyll production, such as nitrogen or magnesium, will manifest itself as a gradual change in the color of the plant, or a portion thereof, from green to brown. Once the change in color starts to become significant, it is often already too late. Multispectral sensors allow the calculation of spectral indices that indicate chlorophyll content. A multispectral sensor thus provides its user with precise information on the health of crops. These findings then enable to analyze the underlying causes of the variations in growth and, if possible, to remedy them as quickly as possible. By detecting the progression of the chlorophyll level and other biological aspects of plants, multispectral remote sensing makes it possible to identify fields affected by a nutrient deficiency at an early stage and to take preventive action. The images obtained by remote sensing reveal which fields have favorable conditions for vigorous growth. These fields are the most likely to be the target of attacks by insects, fungi or diseases. Combined with agricultural know-how, multispectral images can alert the farmer to the vulnerability of certain fields. These early- stage alerts will not only enable the farmer to reduce the harmful impact of other organisms on his crops, but also to optimize his pesticide applications according to the risk level of the various fields, thereby reducing treatment costs and the emission of chemical products into the environment. By revealing the fields in which plant growth is slow, multispectral remote sensing alerts the farmer to a possible state of biotic stress in his crops. On the basis of his experience and agricultural know-how, he can then determine whether the underlying cause of the stress is linked to the harmful activity of other organisms. of this difference often lies in the characteristics of the soil, in particular its capacity, or lack thereof, to absorb water and distribute it to the plants. Multispectral imagery can identify disparities of water in crops. By processing the captured images, disparities in moisture level among fields can be identified before visible symptoms appear. In light of this information, the farmer can then act accordingly. Thanks to the flexibility and user friendly nature of drones, water stress can be mitigated by a better understanding of the irrigation timing and requirements. the same developmental stage from one season to another, the farmer will obtain a database enabling him to refine his yield estimate even further. Our Solutions for precision Agriculture. At Verydrone, with a combined 25 years of experience in the drone industry we offer the best and more affordable services for precision agriculture. If you would like to know more about the services we offer or if you would like to discover the drones bundle that we offer for precision agriculture, please click here to contact us.